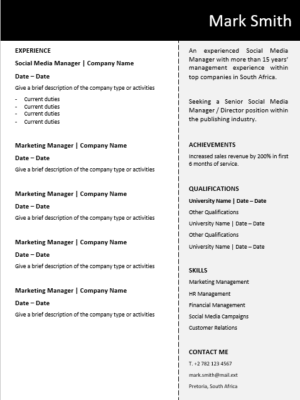 Creative Directors are the creative leads at advertising and marketing companies, working with designers, artists, copywriters, sales teams and marketers to create a vision for products sold. 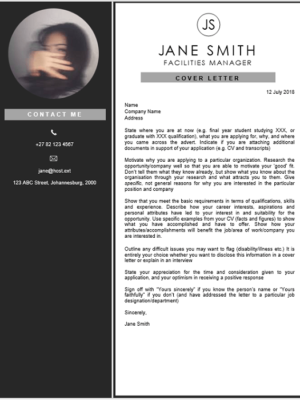 Creative directors plan advertising, oversee the creative process and give guidance to the creative people that work under them. 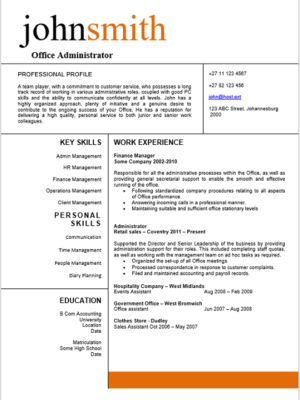 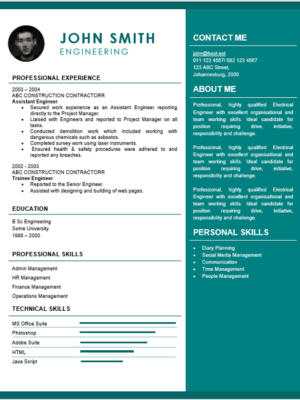 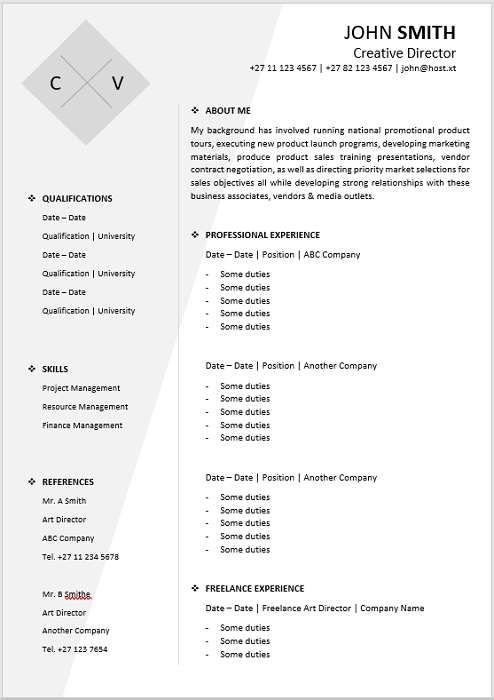 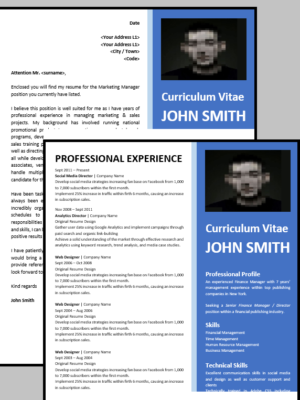 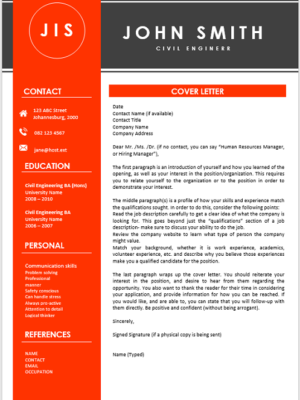 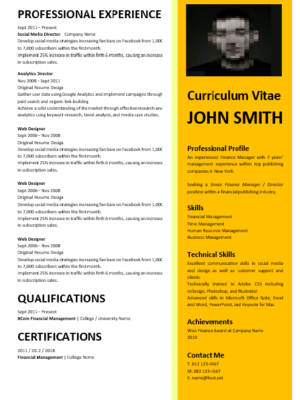 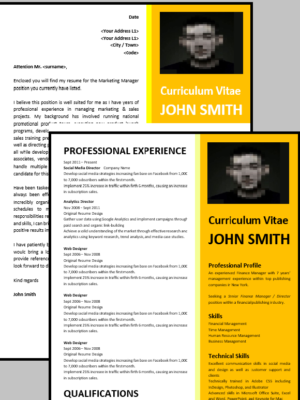 This CV is ideal for a Creative Director seeking new employment or wanting to change employers. 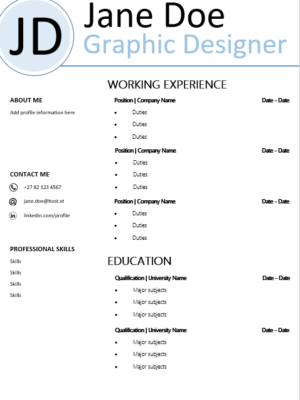 Allow your creative be shown through your resume.